Designed specifically for 5" Charms. This is the most fastest, easiest, and accurate way to make half square triangles. 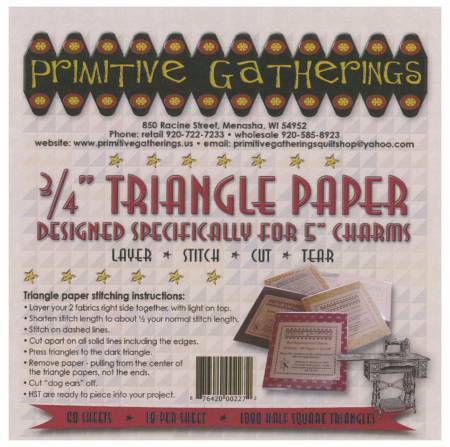 You will get 60 sheets with 18 per sheet for a total of 1080 half square triangles.